SIGN UP FOR AMERICA'S LARGEST YOUTH TENNIS LEAGUE! 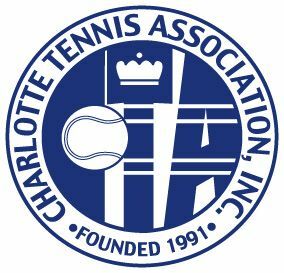 The Charlotte Tennis Association and Mecklenburg County Park and Recreation are partnering to offer USTA Jr. Team Tennis in the parks! The successful Charlotte USTA Jr. Team Tennis program includes a structure of home and away matches on Sunday afternoons. Teams in some divisions may travel to other venues in the city to play. $48.00 USTA Jr. Team Tennis League registration fee	includes weekly practice, rotation in weekly team match, Nike uniform shirt, match balls and	cost of USTA Membership! (A $19 charge will be incurred in Step	1 and a	$29 charge in	Step	2. Players who are not affiliated with one the many area clubs offering USTA Jr. Team Tennis or at a facility where there are not enough players to hold all divisions, can sign up through "open registration"	Please note that we must have a minimum of	7 entries for a specified division to field a team, and we must have a volunteer Team Manager to coordinate the weekly practices and matches. The home courts for these teams will be the Jeff Adams Tennis Center. 1. Join the USTA! The annual junior fee is $19.00. Click here for more information about the benefits of membership and to sign up.